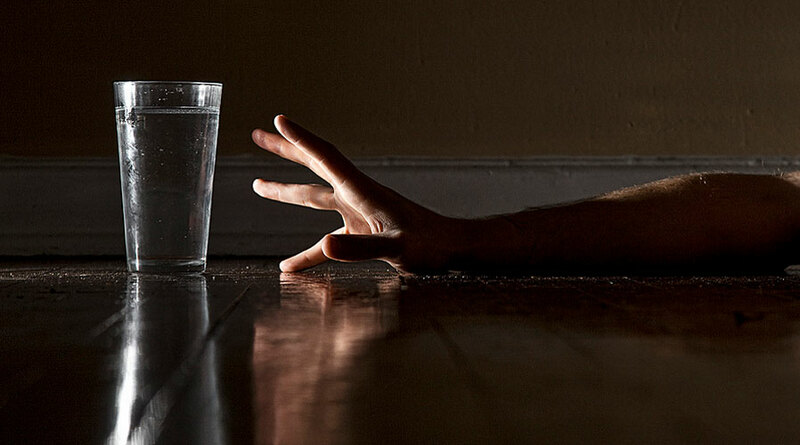 How long can you survive without drink? Not long – although we can manage without food for anything from a week to around a month, not drinking enough water will negatively affect your health after just one day. However, most people undervalue the importance of water. In fact, two-thirds of your body is made up of water, so even becoming slightly dehydrated will bring about noticeable health changes. What Would Happen If You Are Not Drinking Enough Water? Dehydration is usually the first effect from drinking insufficient water. Dehydrated people often experience thirst, headache, and dryness and/or stickiness in the mouth, lips, tongue, and skin. When the dehydration becomes more serious, symptoms can include fatigue, becoming unable to urinate or having dark-colored pee, confusion, dizziness, and chest pain. Dehydration usually occurs due to lack of fluid, but can be a result of health conditions such as diabetes. Children under five and elderly people are more susceptible. The water inside your body acts as a cooling mechanism, both for external skin and internal organs, particularly following physical exercise. This internal cooling system may not function properly if you are not drinking enough water, which can cause heat cramps, a quickened pulse, dizziness, lightheadedness, severe weariness, and feelings of being too hot or cold. In severe cases, heat stoke can occur, which can be life-threatening. Dehydration can interfere with many bodily processes, such as providing organs with sufficient oxygen, disposal of waste products, and bone and joint lubrication. It also affects the balance of electrolytes, vitamins and minerals essential for the body to function. For instance, sodium and potassium are involved in brain signaling. Chemical imbalances can cause irregular heart rhythms, convulsions, and a general run-down feeling. You can eventually suffer severe health problems, such as kidney failure, loss of consciousness, low blood volume, and shock. For effective bowel motion, you need plenty of water. Not drinking enough water can cause toxin build-up and weight gain, and you will start to feel terrible. Long-term constipation may lead to many health issues, including toxic overload syndrome, allergies, and digestive problems, such as trapped wind, irritable bowel syndrome, nausea, abdominal pain, and reduced appetite. Within the stomach, there is a mucosal lining consisting of 98% water and 2% sodium bicarbonate, which aids digestion and protects the stomach by neutralizing digestive acids. During dehydration, the stomach cannot effectively produce this mucosal lining, as there is insufficient fluid available. This can result in an overly acidic stomach, along with heartburn, eventually producing stomach ulcers. Cartilage is found in the joints and vertebral discs, and is required to prevent bones grinding together. It consists of around 80% water. Therefore, good hydration ensures good shock absorption in the joints during activities such as running, dancing, or jumping. Muscles are also high in water content, so not drinking enough water can lower overall muscle mass. To reduce the risk of sore and inflamed muscles when you exercise, ensure you drink plenty of water before, during, and after physical activity. This will not only help you feel hydrated, it will also ensure water is delivered to the body parts that need it. Water constantly eliminates toxins from the body and allows your organs to filter out waste products. This process will start to malfunction during dehydration. What’s more, in someone who is dehydrated, their organs will take extra water from the blood, causing further problems. The accumulation of toxins within the body can make the dehydrated person feel continuously unwell. When you are dehydrated, the body can confuse the signals, so you may think that you are hungry. This can occur at all times day and night. You can get into a vicious cycle by eating more, which places additional strain on your body. Drinking water, however, allows the bodily systems to function properly, giving you extra energy. As we get older, the body naturally retains lower amounts of water, so we need to increase our water intake. Dehydration can cause both internal and external aging, although it will be mostly evident in the condition of your skin. To make sure you are drinking enough water, keep a record of all the fluid you drink. The water you need each day varies, and experts disagree on the ideal amount. The traditional advice is to have 8 glasses of 8 oz water daily, but some medical professionals say it should be more than this, around 3 liters/13 cups a day for men and 2.2 liters/9 cups for women. The reason for this difference is that men generally have greater muscle mass than women. You can also include the liquid in food, for example, in watery vegetables and soups, towards your total daily water total. The amount of water an adult needs to drink varies, according to the climate (hot and dry means more water is needed), their level of exercise, and their general state of health.